assisted by theatre manager Ronnie Gatt. 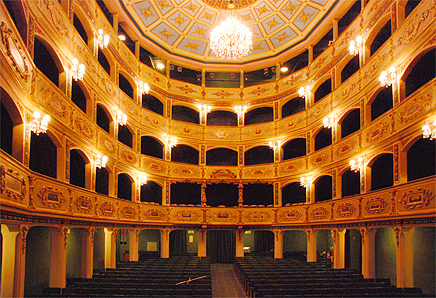 Built in 1731 by Grand Master Antonio Manoel de Vihea as a public theatre. In 1950 started a 10 year restauration, and the theatre has been in operation again since 1960. Recording equipment: Tannoy Reveal speaker with Sony car Radio. 4 DPA 4006 Omnidirectional microphones and Edirol R-4 portable harddisk recorder.